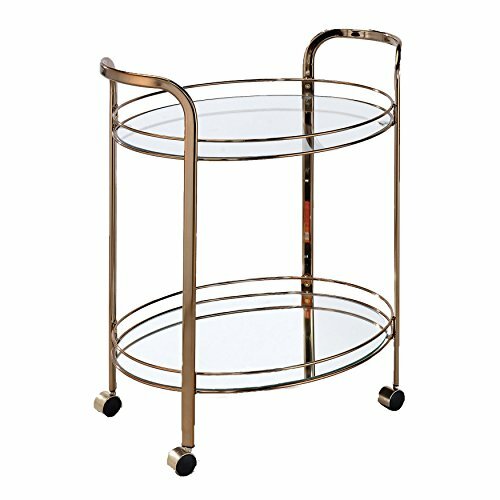 The Mulga Serving Cart features a dazzling and lustrous Champagne finish and airy design. Its spacious round mirror shelves are protected by airy metal supports while curvy handles make it easy to move the cart around on its seamless caster wheels. Bring chic and functional design to your home with the Mulga Serving Cart by ioHOMES. Linon White Storage Cart On Wheels With Granite Top. Great For Small Kitchens! !